These last five days at the centre for neurorehabilitation CNS in Portugal have been eye-opening and extremely hard work, I have learnt so much and had so much fun. You can read about the previous days here, here, and here. There has been Nordic walking gait training, balance exercises, home training program, walking and even running on a treadmill, multi-tasking training, Ronnie Gardiner Rhythm Music Therapy, hydrotherapy, and combinations like walking on treadmill while doing brain training or walking in the pool wearing flippers while calling out words beginning with “L”. 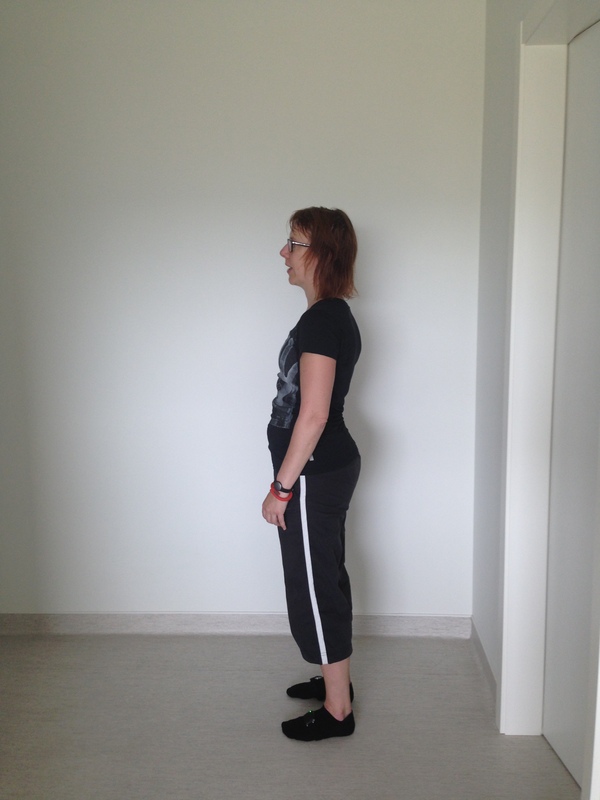 I have improved my posture, as shown on the photos here and I have a lot of self-tracking data to analyse. During my time here, I have been measuring my heart rate, made notes about activities and observations and I have been wearing sensors to track my movements on my feet. I have also learnt strategies for dealing with freezing when it happens. 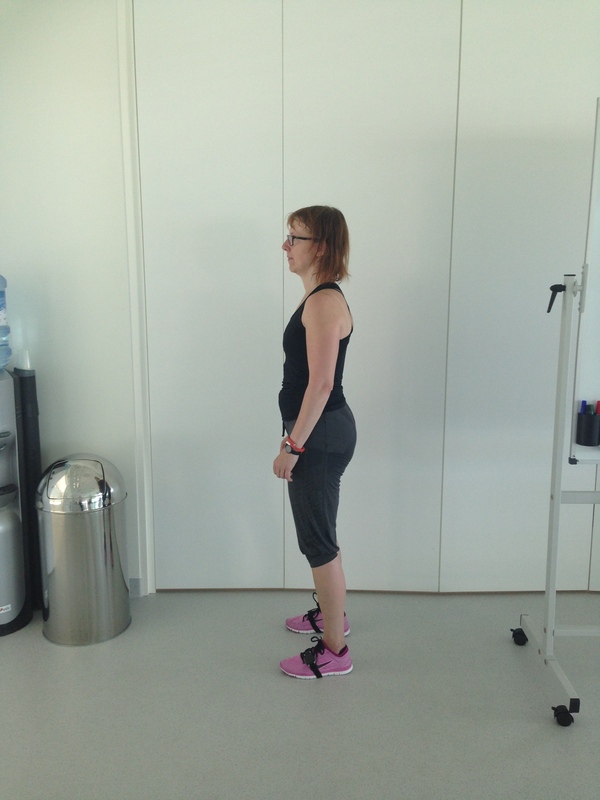 The physiotherapist Josefa and I have been discussing freezing-of-gait a lot and identified the different situations that might trigger freezing. Then I have been exposed to situations for trying to provoke freezing, both in the centre and under more natural conditions. I have realised that I cannot always avoid freezing from happening, but I can learn to control the situation using coping strategies. When a sudden sound or movement triggers freezing, rather than persisting in trying to find my stride again, I stop with one foot slightly in front of the other for optimal balance, and then restart. Most of the time I can now avoid freezing by focussing on the heels and counting my steps in my head. The big question now is of course: How to make this stick? Well, it will not be easy, but it will definitely be worth it. And today I will be testing my new knowledge in a naturally stressful environment. We will be going into Lisbon for some sightseeing and there will be lots of people to challenge my balance and confidence in walking, there will be lots of noice to stress my brain and there will be crossing streets with cars approaching. Next week, I will be back in Stockholm, continuing my training. The fourth rule of The Fight Parkinson’s Club is: If it feels uncomfortable, you’re doing it right! I think I have a lot to learn from You . Just want you to know thar I´m following everything you do and write Sara! We need you out there. Right now i am in a three weeka rehab programme in Vejbystrand. I have a sinikar problem as yours, with falling. But I don´t see any sign of cure or solution – yet! Good for you. Can’t wait to see you here! Tack Sara för att du delar dina erfarenheter, funderar, funderar testar och gör om och testar igen. Så spännande att få följa din resa. I’m sorry to point this out to you. The reason why you’ve stopped freezing is climatic! You’re in Portugal not Sweden! But seriously, keep up the good work. Next PostNext Victory is mine!